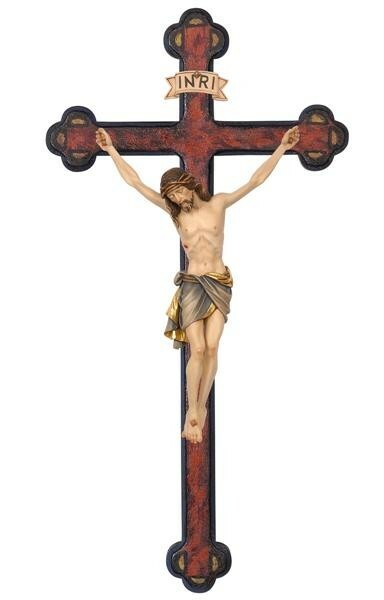 My crucified Jesus, my Redeemer and my God! Behold a traitor at Thy feet. I am ashamed to appear before Thee. How often have I mocked Thee ! How often have I promised to offend Thee no more! But my promises have been so many treasons; for when the occasion of sin was presented to me I have forgotten Thee, and have again turned my back upon Thee, I thank Thee that I am not now in hell, but at Thy feet, where Thou enlightenest me, and callest me to Thy love. Yes; I wish to love Thee, my Saviour and my God! and I wish never more to despise Thee. Thou hast borne with me long enough. I see that Thou canst bear with me no longer. Unhappy me, if after so many graces, I offend Thee again! Lord, I sincerely wish and resolve to change my life: I wish to love Thee as much as I have offended Thee. It consoles me to have to deal with Thee, who art infinite goodness: but I am sorry above all things for having so much despised Thee, and I promise Thee all my love for the future. Pardon me through the merits of Thy Passion; forget the injuries I have done Thee, and give me strength to be faithful to Thee during the remainder of my life. I love Thee, O my Sovereign Good! and I hope to love Thee forever. My dear God! I will never more abandon Thee. O Mary, Mother of God ! bind me to Jesus Christ, and obtain for me the grace never again to depart from his feet.